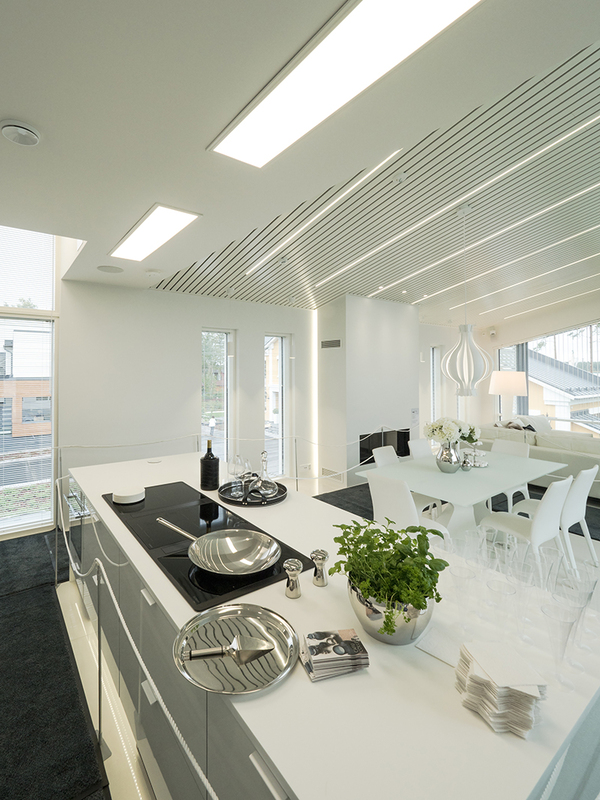 The year 2016 and Seinäjoki housing fair was full of amazing homes, ideas and inspiration. Winled was proud to have designed and delivered lighting solutions to 7 detached houses and to one apartment building. One of the most memorable and dashing houses was called Lakka Lakeus. The beautiful, modern and explicit house represents Scandinavian design at its best: no wonder it was said to be the favorite attraction for many of the visitors. The lighting was designed by our very own Toni Reinilä, and he says he's not an exception – Lakka Lakeus was definitely his favorite as well. Toni tells that Lakka Lakeus was the easiest one to execute: the chemistry between the interior designer, tenant, electric contractor and himself was obvious, so the whole process went on like a dream – the stunning outcome is a perfect proof of the well-executed project. In addition to the inventive interior designer and tenant, Toni gives credit to his colleagues and their professionalism – if facing a difficulty in choosing, they were always ready to help and tell their opinions. Especially the lighting of the living room ceiling generated lots of positive feedback – also long after the fair was already closed. Toni says that he got the idea after the execution of the ceiling changed to lathing: when generating a 3D-design of the space he saw the opportunity to implement this fascinating, not-so-often-seen LED lighting solution – and it really paid off. Also the general lighting of the house makes an impact, and moreover, there is enough light even during the darkest of days of the year. 4000 Kelvin's neutral color temperature ensures that the white surfaces stay white and recurs the colors used in the decor perfectly. When moving on to the toilet-bathroom-sauna sector of the house, turns the color pallet from white and neutral to dark and warm. Winled's Helmi -glass cube is widely used in bathroom lighting, and Lakka Lakeus' bathroom makes no exception. 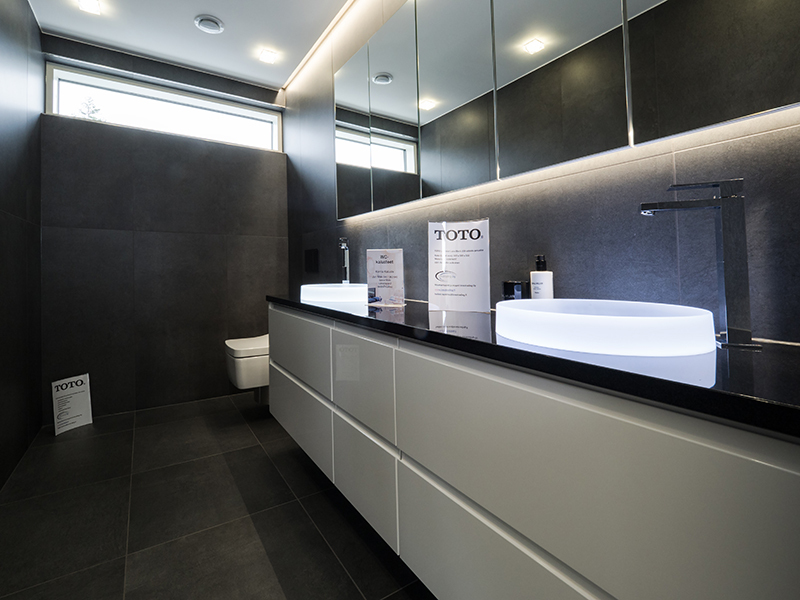 Combined with indirect lighting executed with LED strips one can be sure that moments spent in the sauna and bathroom shall be more than pleasant. Outdoor lighting acts as a crown placed upon this royal building. The upstairs' covered terrace is like a second living room – a fireplace together with Lilja-downlights bring light to the darkening autumn nights. The yard areas are lit with the help of Haiku -bollard luminaires. They merge perfectly with the environment around Lakka Lakeus: the design is like a copy of the architecture of the house. Hydra wall luminaires complete the perfect entity.